Have you ever read a book and became so engrossed in it that you could see and hear and even taste everything that was described in it? Um.....well.....I have. Guess this adds to my weirdo-ness status but then y'all know that. If I could still make lots of drool, I'd have needed a bath towel to mop it all up by the time I finished reading the last page. I won't summarize the plot here for those that decide to read the book, but I will say that a cake is one of the main characters of Delicious!. And I WANTED TO EAT THIS CAKE. 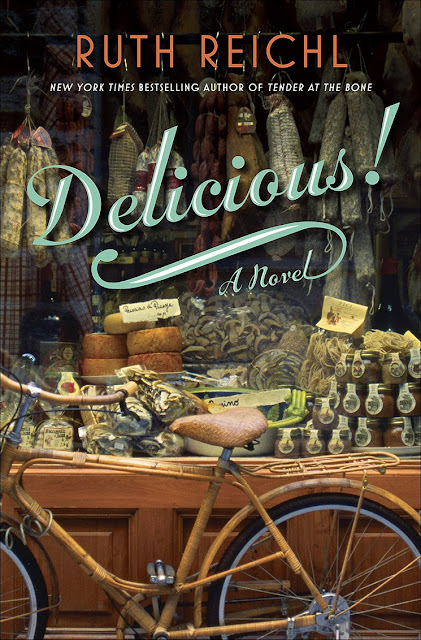 Ms. Reichl, editor in chief for Gourmet magazine, and previously a food critic for the New York Times, obviously used her considerable talents and experiences with good food in writing this book, and mercifully included the recipe for the gingerbread cake she writes about so vividly. I had to make it. Especially after I noticed that the ingredients include freshly ground black pepper AND bourbon. How interesting is that? It was fortuitous that Terese's birthday coincided with the day that I decided to bake this intriguing recipe, so I informed her that she was getting "Billie's Gingerbread Cake" for her birthday. Oh, and by the way - happy birthday, buddy ol' pal. Me: On your way home from work, can you stop and buy a bundt pan for me? 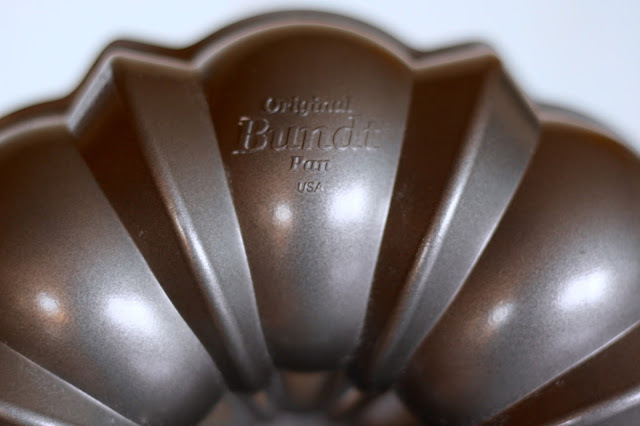 John: What the heck is a bundt pan? Me: You know. 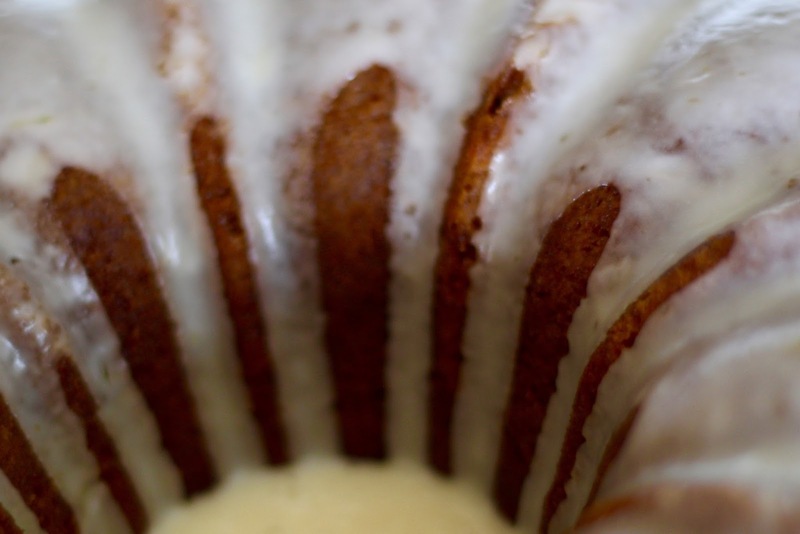 A cake pan. What a guy. It was just the ticket. The cake looks delicious, but I can't tell you at this writing what it tastes like since the instructions suggest that the cake tastes better a day after baking it. I know. There's lots of deeeeelicious fresh orange juice glaze puddled around the cake but I just couldn't stand to leave any leftovers in the bowl. I'll let y'all know if this divine smelling pastry lives up to it's hype. I plan on serving each slice with a scoop of vanilla bean ice cream. 2. Grind your cinnamon stick and measure out 1 teaspoon. (Again, you can use ground cinnamon if you must.) Whisk the flour with the baking powder, baking soda, spices and salt in a small bowl. In another small bowl, whisk the eggs and egg yolk into the sour cream. Set aside. 3. Cream the butter and sugar in a stand mixer until the mixture is light, fluffy, and almost white. This should take about 3 minutes. 4. Grate the ginger root — this is a lot of ginger — and the orange zest. Add them to the butter/sugar mixture. Beat the flour mixture and the egg mixture, alternating between the two, into the butter until each addition is incorporated. The batter should be as luxurious as mousse. 5. Spoon batter into the prepared pan and bake for about 40 minutes, until cake is golden and a wooden skewer comes out clean. 6. Remove to a rack and cool in the pan for 10 minutes. 1. While the cake cools in its pan, simmer the bourbon and the sugar in a small pot for about 4 minutes. It should reduce to about 1/3 cup. 2. While the cake is still in the pan, brush half the bourbon mixture onto its exposed surface (the bottom of the cake) with a pastry brush. Let the syrup soak in for a few minutes, then turn the cake out onto a rack. Gently brush the remaining mixture all over the cake. 1. 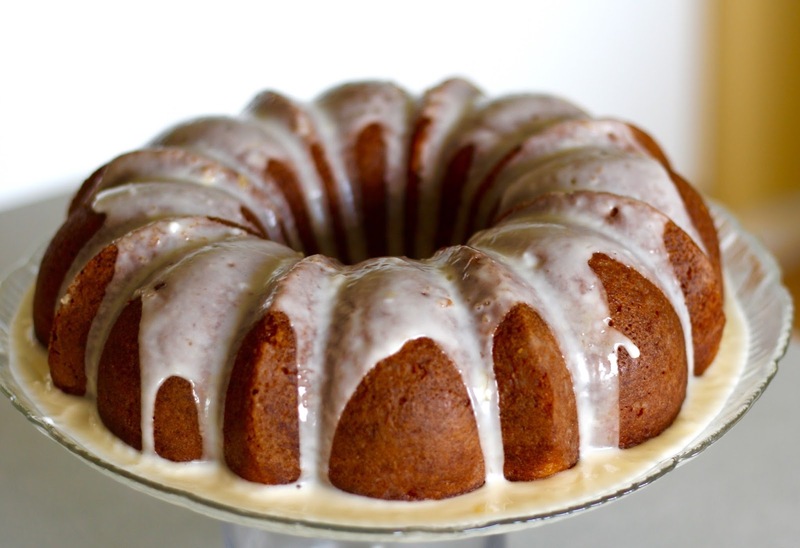 Once the cake is cooled, mix the sugar with the orange juice and either drizzle the glaze randomly over the cake or put it into a squeeze bottle and do a controlled drizzle. Loved the book too. Didn't make the cake tho. My baking skills run to open box, stir in stuff, shove in oven. Me and Betty Crocker, best buds. OMG, Julia. You're torturing my gluten/alcohol free heart. I LOVE gingerbread. This sounds so good. I grew up with a mother who thought cookbooks were good betdtime reading. We always had Gourmet magazine in the house. 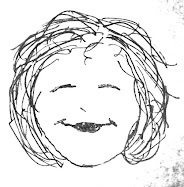 She loved M.F.K. Fisher. Happy Birthday, Therese. Bon Appetit.